Comox Valley Project Watershed Society is a registered non-profit environmental society with Canadian charitable tax status focused on sensitive habitat stewardship. The organization is guided by a volunteer board and managed by staff. 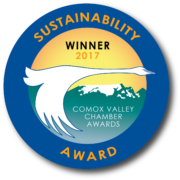 We are also an active partner of the Comox Valley Conservation Strategy – Community Partnership. We offer professional conservation mapping and related technical services, host regular Streamkeeper & Wetlandkeeper courses, maintain a stewardship information library, and currently manage research, restoration, assessment, protection and awareness raising projects in the K’ómoks Estuary and Puntledge River Watershed. We often work in partnership with local stewardship organizations, industry and all levels of government, to meet these goals. For example, we partner with like-minded organizations to maintain offices at the “Comox Valley Conservation Center” at 2356A Rosewall Crescent in Tintown, Courtenay. Stewardship has different meanings for different people. For our purposes, community stewardship means taking personal and collective responsibility for the protection and restoration of our home watersheds and sensitive habitats. It requires long-term commitment from the entire community: its organizations, its businesses, its government agencies and, especially, its citizens. Each person lives in a watershed, each person must take some responsibility to ensure that our watershed heritage is passed on to succeeding generations in good health. A watershed is inclusive, incorporating not only air, water and the natural resources, but also the human community that lives, breathes, works and drinks within its rain defined boundaries. During our history, we have learned that, in order for the community to take responsibility for clean air, land and water, people of all backgrounds must be encouraged to become involved in local stewardship activities and must be given the support required to make their efforts satisfying and effective. While the output of Project Watershed’s work will hopefully be the protection and restoration of our local watersheds and associated sensitive habitats, the “process” by which we carry out our objective is also of prime importance. Through involving our fellow citizens in useful work, we hope to foster an enduring relationship between citizens and their watersheds. Project Watershed’s real work is to bring about a change of attitude. to encourage all ages and cultures to become involved in community stewardship of watersheds. Project Watershed was established in 1993 by a small group of local citizens concerned by declining fish stocks, water quality and rapid urban development in local watersheds. In 1995 they began the Sensitive Habitat Stewardship Program (SHS)- which, while it has changed and evolved over time, still remains the umbrella for all our activities. The Comox Valley Salmon Streams Stewardship Project focused on developing stewardship of sensitive fish and wildlife habitat on private land in the Comox Valley. The objective of this long term effort was partnership building among local government agencies, landowners and organized stewardship groups to improve protection and restoration of sensitive habitats when land development activities occur. Project Watershed worked closely with staff at the Regional District, and implemented projects in partnership with groups such as the Tsolum River Restoration Society, Morrison Creek Streamkeepers, Millard/Piercy Creek Watershed Stewards, Brooklyn Creek Streamkeepers, and other regional groups such as the Land Trust and the Naturalists. More…. The 2008 Estuary Symposium featured leading experts on estuaries in B.C. and beyond. It was learned that the Courtenay River Estuary is one of only eight Class 1 estuaries in British Columbia. In this public forum event the importance of protecting First Nations heritage and wildlife habitats was illustrated. The outcome of the Estuary Symposium was the creation of Project Watershed’s Estuary Working Group and the ‘Keeping It Living’ awareness campaign where Project Watershed is again fostering community partnerships with the goal of creating watershed stewardship efforts. More…. Hundreds of people have taken the nationally-recognized Streamkeepers course, which focuses on the basic skills of monitoring aquatic habitats and getting involved in local volunteer driven watershed projects. Project Watershed continues to offer streamkeeper and wetlandkeeper courses and some of our graduates have become champions working to further the goals of local stewardship groups. Interested? This series of projects addressed non-point source pollution in Baynes Sound through education and outreach activities. Products of this program include an extensive “State of the Sound” GIS project, as well as educational materials and action projects focused on non-point source pollution and remediation efforts. Storm Drain Monitoring (1996-2000): A citizen monitoring program testing storm drains in urban areas. Agricultural Program (1997-98): An educational and remedial action campaign aimed at preventing damage to sensitive riparian areas. Survey and Education of Businesses (1999): Awareness and remedial work regarding toxic chemical use and disposal. The project included the distribution of educational materials, public workshops, and advertising and promotion for “green” businesses. Biofiltration Wetland (1999): Construction of a wetland in a residential area to filter stormwater and septic wastes. Pump-out Facilities and Boater Education (1999-2000): In conjunction with community partners, boater pump-out facilities were constructed in Comox Harbour and Deep Bay. A boater education program and celebration of clean water was also a focus. Sensitive Habitat Inventory and Mapping: Accurate watercourse, and wetland locations, salmon and trout presence and habitat conditions features of urban streams are mapped using standardized procedures called the SHIM methods. Project Watershed is a founding member of the Community Mapping Network, a group of like minded organizations working to create better opportunities for community stewardship of Sensitive Habitats. Baynes Sound Foreshore Stewardship (2001-2002): Detailed maps and inventory in Baynes Sound area will provide information to increase protection of sensitive stream, wetland and foreshore habitats, through application of local government bylaws and landowners’ voluntary stewardship commitments. Urban Salmon Habitat Program Assessments: Fish habitats are assessed using standardized procedures and reports describing watershed problems and recommend remedial efforts. This work results in detailed biophysical descriptions of streams and wetlands that aid in land-use decision making and watershed planning. Arcview Smart Maps: Mapping, inventory and assessment data is compiled, digitized and used to update and expand the Comox Valley Sensitive Habitat Atlas, first published in 1995 in conjunction with local, provincial and federal governments. 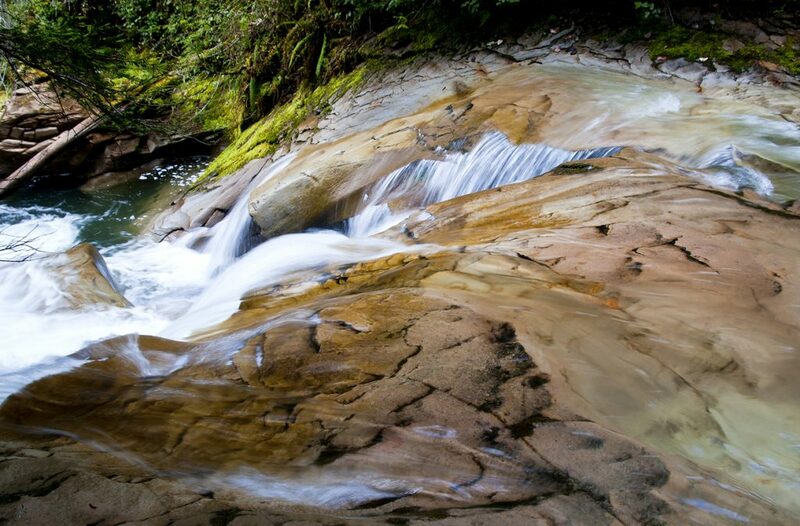 It is estimated that 20-30% of all streams in the valley are not mapped. Of those that are mapped, many habitat records are of limited accuracy. This project provides current, accurate maps and data to decision-makers, citizens, government agencies and volunteer stewardship groups in a user-friendly format. See samples on the Maps and Reports page. A network of community mapping and stewardship groups has been developed, along with a protocol for information exchange. The purpose of this activity is to increase public awareness of and involvement in watershed stewardship and to establish a process to recruit new stewards, and to organize their activities in meaningful ways. This fosters a locally coordinated effort that increases information exchange among partners and reduces conflicts and duplication. A follow-up to initial stream surveys that provides information about habitat and stewardship options to landowners. This project creates an appreciation of the significance of habitats on private land, and wherever possible, to establish voluntary stewardship agreements, in which the landowner agrees to protect, restore and/or monitor the habitats found on their property. See Evaluation Report from the 1999-2000 inaugural project year. See brochures on Maps and Reports page. Partnership projects that build on the training and practical experience that our staff have acquired in the area of watershed stewardship services. We use cost-recovery pricing where appropriate and follow a comprehensive plan to deliver services to the non-profit and private sector providing more stable employment for local watershed technicians. Project Watershed has piloted numerous important initiatives and is frequently lauded as a role model for community stewardship organizations throughout British Columbia and the Pacific Northwest. Our organization has been recognized with several community achievement awards.